The website we designed and built for Meet in Ireland is up for Best Tourism, Hospitality and Entertainment website in the Kentico Site of the Year awards 2017. You can vote here. It has been chosen as one of just three shortlisted sites in the relevant category. Meet in Ireland is Irish tourism body Fáilte Ireland’s initiative to encourage corporate and business travel to the island. Please feel free to visit the website to try it for yourself. The annual Kentico Site of the Year contest celebrates the best websites using the Kentico content management system that have gone live over the past 12 months. For each website category, three finalists are selected by a committee of Kentico staff. 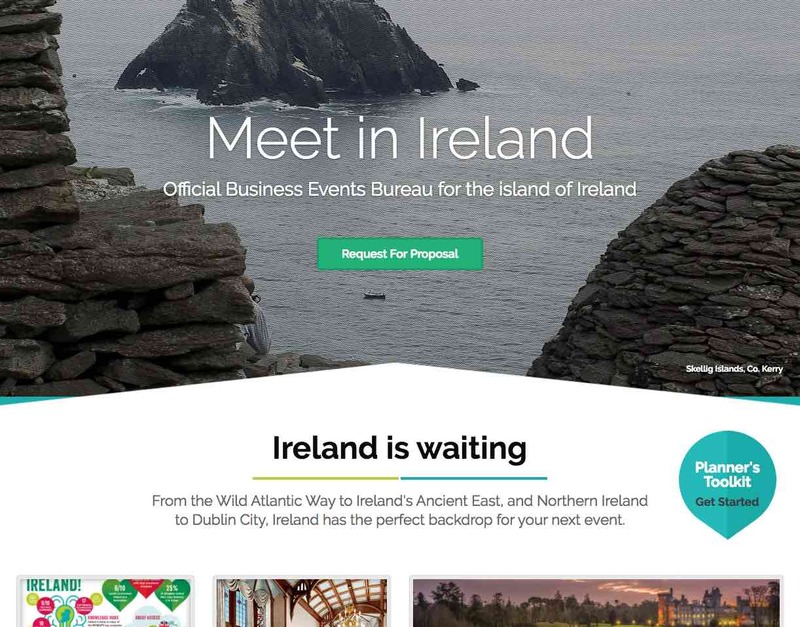 The Meet in Ireland website has been chosen as one of the top three websites in the Best Tourism, Hospitality and Entertainment category. It also remains in contention to be named Global Winner of the Kentico Site of the Year 2017. This award will be chosen from the winners of the various categories by a Kentico committee. The winner will be announced on March 20, 2018, after the end of the public vote. If you like the look and functionality of the Meet in Ireland site, and would like to give us your support, please consider clicking here to vote for us.